How Common Are Restaurant Slip-and-Fall Accidents? The National Safety Council (NSC) estimates that 9 million slip-and-fall injuries happen each year in the United States. Of these 9 million, restaurant slip-and-fall accidents account for more than 4 million workers’ and patrons’ injuries each year, according to ISSA, the worldwide cleaning industry association. A National Floor Safety Institute (NFSI) study shows the industry spends more than $2 billion annually on slip-and-fall injuries in terms of medical costs, absenteeism, and lost productivity, with these accidents increasing by about 10 percent each year. Restaurant slip-and-fall accidents happen most frequently in restaurant kitchens where employees mishandle, or improperly remove, cooking oils and grease. These accidents also happen in other areas when the oil leaks onto the floor from a waste bag when being moved to trash containers. 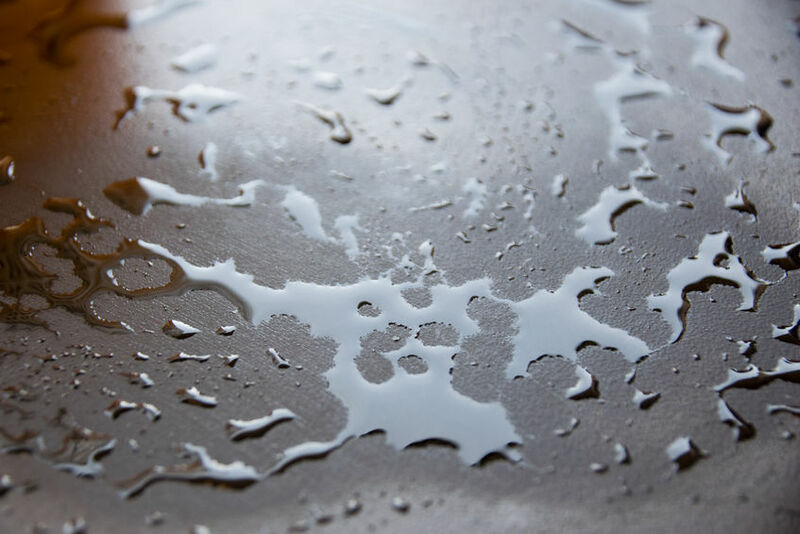 There are also other restaurant hazard areas such as slipping, falling or tripping over objects, such as carpet or uneven flooring, and/or slipping and falling because of wet floors. An example of a restaurant wet-floor accident is that of a woman whose primary job was that of a floor supervisor at a shopping mall. The woman suffered a compound fracture of the hip in a restaurant, which resulted in her being incapacitated for weeks, suffering from significant pain and loss of pay. Since her job required her to stand for long periods of time, it was difficult for her when she returned to work. In the woman’s lawsuit, she said the restaurant failed to post a wet-floor notice for patrons and employees. Patrons expect to be in safe environments when frequenting restaurants and employees expect to also be safe at work. Soft tissue injuries, fractures, sprains, and/or lacerations are just some of the injuries that can occur in slip-and-fall accidents. To decrease the risk of injuries, restaurant owners need to implement safety measures to protect the public and employees. Managers should be required to monitor restaurant floors frequently. These floors include all restaurant areas, including restrooms. Hallways leading to restrooms, and the restrooms themselves, are common places for slip-and-fall accidents. Restrooms need to be constantly monitored because patrons and employees washing their hands can cause wet surfaces. Inclement weather can cause slippery surfaces. Patrons entering restaurants during rainy weather often trek in water. This situation must be clearly monitored, signage must be placed to warn everyone of slippery floors, and the flooring must be dried. Restaurant training programs for employees and managers are important for everyone’s safety. Restaurants are usually busy places, and busy places can become chaotic for everyone. This chaos cannot cause restaurant staff and managers to lose sight of safety issues. Florida law is specific on business owners’ responsibilities toward the public. The restaurant owner is responsible for maintaining danger-free and safe establishments. In a lawsuit in Florida, the injured person must establish that the restaurant knew, or should have known, about the hazard and did not correct the hazard which caused the accident. “Should you or a loved one be injured due to the negligence of another, you may be entitled to compensation for pain and suffering, long and short-term medical care expenses, lost wages and the loss of the enjoyment of life. Please contact our experienced team of slip-and-fall attorneys. We are available to assist you 24/7,” said Fort Myers Slip and Fall Accident Attorney Randall Spivey of Spivey Law Firm, Personal Injury Attorneys, P.A. Fort Myers Slip and Fall Attorney, Randall L. Spivey is a Board Certified Trial Attorney – the highest recognition for competence bestowed by the Florida Bar and a distinction earned by just one (1%) percent of Florida attorneys. He has handled over 2,000 personal injury and wrongful death cases throughout Florida. For a free and confidential consultation to discuss your legal rights, contact the Spivey Law Firm, Personal Injury Attorneys, P.A., in Lee County at 239.337.7483 or toll free at 1.888.477.4839,or by email to Randall@SpiveyLaw.com. Visit SpiveyLaw.com for more information. You can contact Spivey Law Firm, Personal Injury Attorneys, P.A.in Charlotte County at 941.764.7748 and in Collier County 239.793.7748.